Ever heard of a kicksled? It’s a small sled with a chair mounted on a pair of flexible metal runners which extend backward to about twice the chair’s length. You stand on one of the runners and kick the ground between the runners to propel the sled. 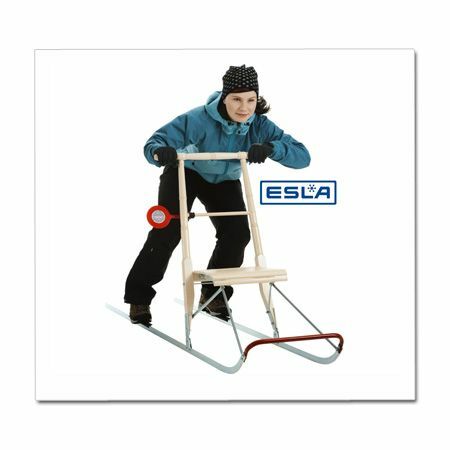 Check out the ESLA Kicksled. Beautifully designed and manufactured by this Finnish company, it has a birch frame and runners made of galvanized spring steel. It moves especially well on ice and hardpacked snow, and with the addition of wide snow runners will ride on powdery snow. Comes in red, blue, birch, pink and lime.